Even if you have won a lottery (NairaBet included), grant, scholarship, etc. managing your money as a student is top priority. This can often feel monstrous, overwhelming, and to some people – impossible. 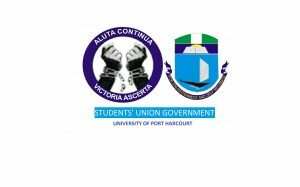 In school, especially at the unique University of Port Harcourt, with prices skyrocketing coupled with the devaluation of the Naira against major foreign currencies, managing money has never proved more difficult. A well designed budget allows you to make the most of your money. A budget helps you foresee the expenses to make, and balance it with your income (or allowance from parents). In creating a budget, the first thing to do is to create a list of all expenses – this includes down to “fun stuffs” like cinema, going to Genesis (the cinema or restaurant), personal care items, lunch, etc. Afterwards a list of all sources of income should be made this includes – money from parents, friends, uncles, side-jobs, and “unconventional friends”. A cross referencing should be done on both lists: note that your expenses should not be more than your income, if this happens cut down on your expenses, or increase your income (if possible, do both). Wheew…..here is the hard part, if you thought creating the budget was difficult, (you don’t know nothim….so..lemme tell you somethim…..). Following a budget requires resolve and restraint, princely because there are times when you will have lots of cash with you and probably see something you like or an unforeseen expense comes along. Staying on budget is partly the most important tip in money management, it is essential to stick to your budget, also adjusting your budget frequently to suit yourself makes money management futile. To a great length, try to stick to your budget, it is also advisable to create a space in your budget as “Miscellaneous” this should be allocated to unforeseen or emergency expenses. It’s tempting to go out and eat, see a movie, plan social activities and have loads of fun that revolve around spending money. After all, what is the point of having money, if not to spend it? True, but you can have same amount of fun, if not more for less or nothing! It’s not compulsory to always to go the cinema to see a good movie, or play some games – host a game night, or a movie night with your friends and have great entertainment free of charge. Besides there’s is a good chance that some of your friends don’t even like the rigour of taking taxis, or scared of coming back late in the night, some others will even like the idea just saving some cash. Ever noticed you spend more when you leave the house with a lot of cash? Yes, that’s because when you leave home with too much cash, you think you have more than what you actually have. Try leaving the house with just what is “budgeted” to spend that day. Its also safe to carry an ATM card around or “a little” extra cash, for emergencies or expenses unforeseen. We all have some skill that makes us stand out, or probably something we have that others want; you can sell clothes, shoes, etc, you no longer use. A part-time (side-job), can help ease up the tightness of your budget and give a little flexibility in your spending. This can range from face modelling, to ushering, to being a chorister – but whatever your side-job is, note that this should not hinder your studies in any way. A need is something you cannot do without; a want on the other hand is just a luxury that you can totally ignore. Most students spend more on what they want rather than what they need. Identifying this line is key, and will help you save more as a student. Not every textbook in a semester must be bought, not every new version of iPhone, shirt, shoes, etc. must be bought. Identify your needs and wants, and save yourself a lot of cash. Yeah, yeah….I probably know what you are thinking right now. Cooking at home doesn’t mean you can never eat out. But if going to Genesis, Sammies, Kilimanjaro, Jovit, etc. has become a habit, try and cut back a lit. Cooking at home can be fun, inventive, and also a learning process. While some planning may be required ahead, a lot of money can be save by purchasing ingredients from the market. Also remember that, everyone loves a cook. The above tips are not all the tips required for money management, but are key for managing money as a student in this unique university. Incorporating these tops into your daily life is a great way to manage your money effectively while earning your degree. I also hope this article has helped you become effective in your personal money management.